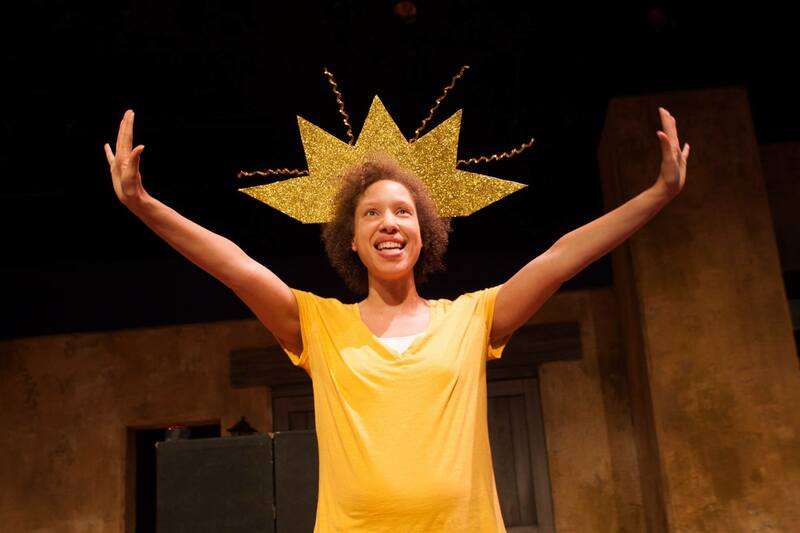 This year Young Playwrights’ Theater is working in partnership with Fannie Mae and their Help the Homeless program to create an original play about the issue of homelessness in the Washington metro area. In the coming weeks, we will be implementing workshops at transitional housing facilities and several public schools to discover the many perspectives, feelings and beliefs surrounding this issue that will find their way into our play. Last night, we conducted our very first workshop at Community of Hope, and we were absolutely blown away by the residents there. We had a group of seven women and their children. The first workshop requires participants to play a role in a made-up drama concerning citizens at a town hall meeting who are deciding whether or not to allow a transitional housing facility to move into their neighborhood. Each person is given a character to play in the fictional community, many of whom disagree with the initiative. Since this was our first workshop, we were unsure if our partners would be willing to voice opposition to a transitional housing facility, but the participants played their roles with vigor and honesty. We had quite a debate for our guided drama, and in the end, the community voted to have the “Good Neighbor Transitional Housing Facility” built in their neighborhood. After the play concluded, we reflected on it and asked the participants to speak openly about the varying opinions of the characters they just enacted. They spoke candidly about the way homeless people are stereotyped and the injustice of writing off the problem as drug abuse, mental illness or apathy. Needless to say we were honored to work with these remarkable women and look forward to the rest of our workshops related to this project. Please start making plans right now to come see this play at our Express Tour Showcase November 3 through November 6. If the experience of last night is any indication of the depth and sincerity we will meet over the next month of conducting these workshops, then you do not want to miss this showcase! This past weekend I took a break from writing grant proposals for YPT and saw Inception, the imaginative new Christopher Nolan film that’s bringing in the box office big bucks this month. I left the film inspired (I loved it) and, believe it or not, thinking of YPT. In Inception (I promise I’m not giving anything away), a crack team of dream “extractors”, lucid dreamers who infiltrate people’s minds and coerce them into revealing their deepest secrets, work together to tackle the risky, untested challenge of “inception” – implanting an idea in the subconscious mind of a dreamer. The film is smart, visually stunning, and contains a mind-blowing fight scene that takes place in a hallway (if you’ve seen it, you know what I’m talking about). So why on earth would this sci-fi thriller make me think of YPT? Inception is a story about a perfect team – each team member contributes something unique and necessary to the mission of the group. They give it all they’ve got. They trust one another. 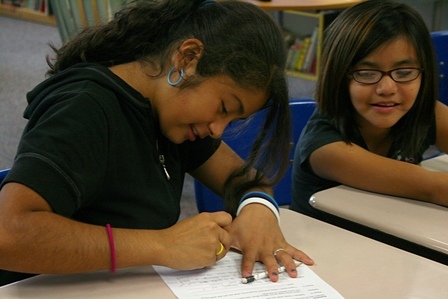 As YPT expands this year to serve more students than ever before (1,000! ), I cannot help reflecting on how lucky I am to work with such a perfect team. Each YPT staff member, board member, teaching artist, actor, director and designer plays a specific and invaluable role in achieving our daily mission to use playwriting to teach students the power and value of their own creative ideas – ideas that can move hearts and minds, ideas that may, indeed, change the world. In fact, the imaginative idea behind the film Inception is the kind of innovation that I find so inspiring in the work of our students. 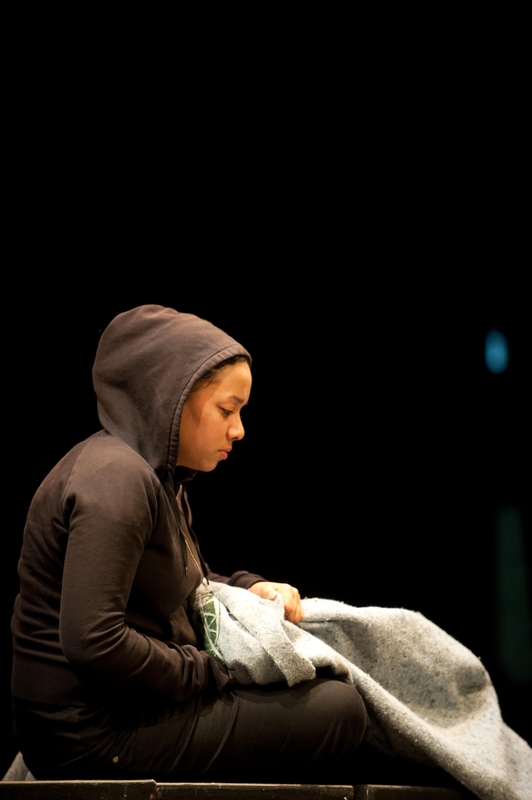 Plays written by YPT students tackle challenging issues including gender roles, self-worth, power dynamics, immigration, drugs, and gangs; and explore such universal themes as family, relationships, heritage, and love. And YPT students take on these big ideas in such inventive and unexpected ways. 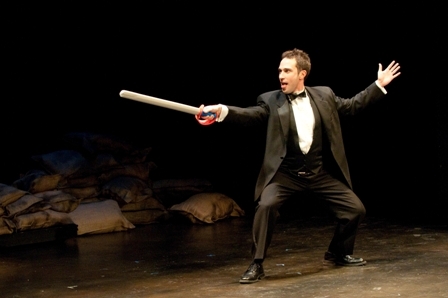 Just this past year, YPT produced a dark, sci-fi play that imagines a future world in which women have been deemed obsolete and eliminated, a brilliant mafia play that challenges the very concept of theatrical form, and a fantastical comedy about an arrogant knight and a dragon that wants nothing more than to be left alone. In the next few weeks, YPT will announce our 2010-2011 Season, and (I promise) you will not be disappointed by what our students have in store for you. Stay tuned. It’s going to be an amazing year.